Why is equipment maintenance required? Equipment maintenance is not an optional activity in a restaurant and is designed to ensure correct both functional equipment in technically as well as avoid damage to them due to a malfunction. Moreover by carrying maintenance equipment business will have a continuous stream and be substantially reduced for losses, and also their repair costs.For catering equipment is required attention on quality and how to execute maintenance. to avoid damaging them, how to prevent costly repairs and replacement of expensive parts. How many steps include equipment maintenance? – The first step is thorough cleaning equipment both outside as well as inside. 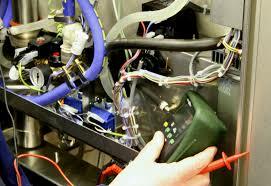 – Where appropriate equipment may be necessary lubrication or oil changes. – In refrigeration installations will check refrigerant gas pressure. – Because in a kitchen environment there is an increased coefficient of vapor that contain fat will clean capacitors required from all fridges and freezers and their fans. – Another important stage is the check installations and equipment operating with natural gas. – Check the connection in this case, gas leak detectors is mandatory. Mining equipment will be given a heightened attention and will be allocated a time and materials needed to be cleaned thoroughly and disinfectant. Catering equipment maintenance is performed by equipment engineers with a highly trained and specialized in maintenance work sequentially after a program capable of ensuring the expected efficiency. A effective will ensure prolonged use of the equipment of your restaurant and substantial savings both in losses from failures as well as the interruption of economic activity.